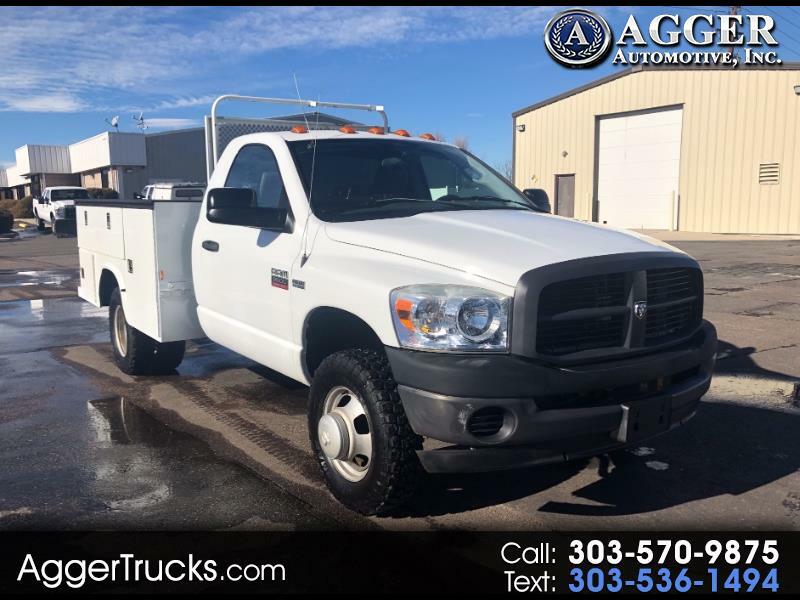 Used 2008 Dodge Ram 3500 4WD Reg Cab 143.5" WB 60" CA for Sale in Denver Commercial Truck CO 80110 Agger Automotive Inc. This service utility truck is snow plow ready with a Front GAWR of 5200lbs!!! For sale is this 2008 Dodge Ram 3500 Service Utility Truck. This vehicle is a one owner truck from the GSA in Dallas, TX. This service truck comes equipped with cruise control, locking 6 compartment Knapheide utility body, 5.7L V8 Hemi gas engine, winter ready tires, dual rear axle, trailer hitch, 12,500 GVWR, 4x4/4WD, and a clean title.